"I was scared for him, I'm not going to lie," said the man who captured the video. Metro sharply criticized the video Tuesday afternoon. "What we all witnessed in the video was note just unsafe, it was reckless," the transit agency said. Metro says a teen shown in a viral video clinging to the back of a moving Metrobus was "reckless" and it could have cost him his life. "Only in DC," wrote local artist Rasta Tahj on Twitter, who captured the video (warning: contains profanity) on Benning Road NE on Monday. "I was driving home from work and I look up, and there's a guy on the back of the bus," Tahj told NBC Washington. NBC4 transportation reporter Adam Tuss reports that the person shown in the video is 15 years old. Tuss reported that the teen's mother called the incident "light-hearted," but Metro sharply criticized it Tuesday afternoon. "What we all witnessed in the video was note just unsafe, it was reckless," a statement from the transit agency read. "While we are thankful that this person was not injured or killed, those outcomes were very real possibilities." Tahj said he was driving about 40 mph as he spotted the shocking sight around 4 p.m. Monday. 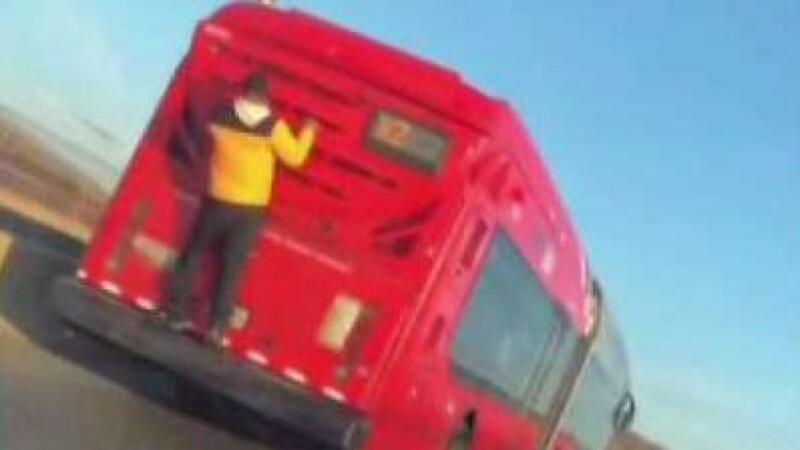 The individual is seen holding onto the X2 Metrobus and standing on the rear bumper. He does not appear to be panicked. "I was scared for him, I'm not going to lie," Tahj said. Tahj said they were on the north side of Benning Road. He believes the person hopped off when the bus stopped at Minnesota Avenue. He said the person in the video ended up being tagged and told Rahj he couldn't believe it went viral. "He just does a lot of stuff like that; he couldn't really explain it," Tahj said. He said he told the person, "'I'm glad you're safe.'"